In complement to the classical thermal curing exhibited by cross-linking polymers, light- or photo-curing polymers are gaining increasing importance in the field of adhesives, paints and coatings. To describe the curing reaction, established thermoanalytical methods are applied with an add-on allowing controlled light exposure. 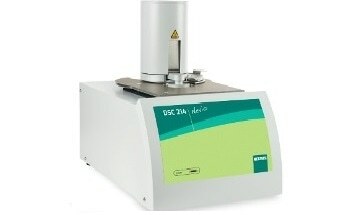 Such methods include photo differential scanning calorimetry (Photo-DSC), photo dielectric analysis (Photo-DEA) and photo dynamic mechanical analysis (Photo-DMA). NETZSCH have announced a webinar on September 18th, 2014, describing the basics of photo-curing cross-linking, introducing the appropriate thermoanalytical instruments and illustrating the great variety of application possibilities using selected examples. The live online seminar will inform participants about the type of information which can be obtained with the different analytical instruments as well as accord them the opportunity to ask the expert questions of their own.